I’m always looking for tools to help my writing. Two years ago I found Writers Helping Writers in the nick of time as I was polishing up the final draft of my memoir, Pieces of Me: Rescuing My Kidnapped Daughters. Writers Helping Writers is an easy site to navigate, and offers a number of author reference books. 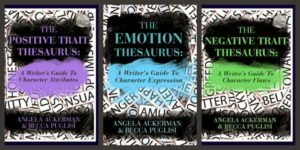 Books like The Emotion Thesaurus: A Writer’s Guide to Character Expression and The Positive Trait Thesaurus are in giving writing dimension. I checked in with author and co-founder Becca Puglisi about what’s new in Writers Helping Writers community since I ran the below Q and A originally in 2015. Coming soon to the Writers Helping Writers Collection…The Emotional Wound Thesaurus: A Writer’s Guide to Psychological Trauma. Of all the formative experiences in a character’s past, none are more destructive than emotional wounds. The aftershocks of trauma can change who they are, alter what they believe, and sabotage their ability to achieve meaningful goals, all of which will affect the trajectory of a story. 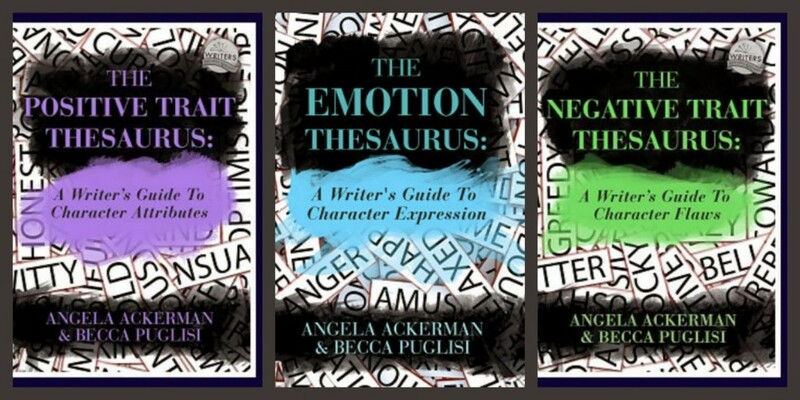 Enter The Emotional Wound Thesaurus, which explores over 100 possible traumatic experiences and how they can impact the character in the present. Armed with this unique resource, authors will be able to root their characters in reality by giving them an authentic wound that causes difficulties and prompts them to strive for inner growth to overcome it. Look for this book to be available by the end of October 2017! I’m happy to have author Becca Puglisi as my guest in today’s post. Thank you for being here, Becca! How did the process of writing The Emotion Thesaurus evolve? Well, it started when I noticed that my characters were constantly smiling and shuffling their feet. I wanted to get rid of those repetitions, but I didn’t know how else to show the emotions. Angela was having the same problem with her characters, and there just wasn’t anything out there to address the issue. So we started making lists of different emotions and brainstorming how people often express them. When we shared the lists with our critique group, they jumped on it, sharing how they each struggled with the same problem. Years later, when it was time to start our Writers Helping Writers blog (then called The Bookshelf Muse), we wanted to include practical and fresh content that would keep writers coming back for me. We decided to share our lists, releasing a new emotional entry each week. And The Emotion Thesaurus was born. You write Young Adult Fantasy Historical Fiction Writing in addition to the series of guidebooks for writers, two vastly different forms of writing. How did you develop the structure for The Emotion Thesaurus? Well, in its original state, it was just a bunch of simple lists: one for fear, one for anger, etc. By the time we started our blog, the lists were so long that we needed something a little more organized and user-friendly, so we split each entry into fields: physical signals, internal sensations, mental responses, and so on. And when we decided to publish the books, we added a few more fields that we thought would be helpful to writers. What is the process like of working with a co-author? Did you each divvy up sections in advance or teleconference occasionally to check progress? Our process is fairly smooth because Angela and I complement each other very well. I think that in comparison to many people, we each tend to over-communicate; we talk A LOT—about possible ideas, problems that we anticipate in the future, how to break ideas down into a process and format that make sense, how the final product should look. For any potential idea or project, we do a ton of pre-writing before we ever put pencil to paper. At the end of this stage, we usually have a template and a list of overall entries that we’d like to include. At that point, Angela writes one half and I write the other. When the drafting is done, we switch halves to edit—usually a few times. By that point, the writing has blended into an end product that is a mixture of` both of our styles. I imagine you receive a lot of feedback from readers about this book, your site Writers Helping Writers, and the other great tools you’ve shared with the writing community. Is there any one example you would like to share that is especially gratifying to you? Oh my gosh, there are so many examples. We’ve heard from Special Ed teachers using The Emotion Thesaurus with their students to help them read and identify other people’s emotions. Another time, I led a workshop on backstory that shows writers how events from the past can determine who a character becomes. Afterwards, one of the attendees told me that during the workshop she had identified an emotional wound from her own past that she hadn’t realized had impacted her so much, and now that she’d named it, she was going to be able to deal with it. It was incredibly gratifying to see how a book of ours had impacted someone so meaningfully on a personal level. But I think the best note I’ve ever received was from a visually-impaired writer. Blind from birth, this writer had always had trouble describing character emotion because he had never seen it. With The Emotion Thesaurus, he said he could finally picture what a frustrated, excited, or terrified person looked like, and he was able to write those emotions realistically. I was floored. Who would’ve thought that our book would be able to help someone in such an amazing way? I read that you were a teacher long before you were a writer. What inspired you to take the plunge and become an author? This is my favorite interview question, because it exemplifies how good God is—and also shows that he has a sense of humor. My church was running a ministry project and, as a private school teacher, I had very little money. I prayed, asking God how I could make some extra money, and he told me to write a book. Haha. ‘Cuz writing is so lucrative, right? I had never written anything before, but I started working on what would become a middle-grade chapter book. And I was hooked. It was eight years before I made a single cent from my writing, and that ministry opportunity never benefited from it, but with the sales of our books over the past three years, I’ve been able to pass on the blessings in ways I’d never imagined. What has been the most surprising part of being a writer? When I considered a career as a writer, I had this image of me happily writing—in a café somewhere sipping a drink, sitting by the fire in winter, staring out a widow at a picturesque view while contemplating my plot line. It was a shock to discover how much of my writing time was spent doing other things. I spend an awful lot of time networking on social media, blogging, reading about writing, keeping up on industry news, bookkeeping, and responding to emails. It was discouraging at first, because with two small children at home, my writing time was very limited. But it’s all part of the deal. And for me, it’s been totally worth it! Author Bio–Becca Puglisi is passionate about learning and sharing her knowledge with others. This is one of her reasons for writing The Emotion Thesaurus, The Positive Trait Thesaurus, and The Negative Trait Thesaurus. 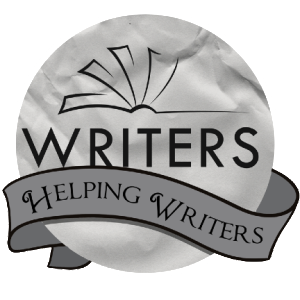 Her website, Writers Helping Writers, is a hub for all things description, offering tons of free resources to aid writers in their literary efforts. 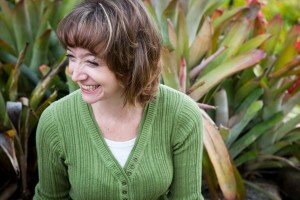 A member of SCBWI, she leads workshops at regional conferences and teaches webinars online. For more information, check out Writers Helping Writers.